As organizations modernize their technology and move into the digital transformation era, IT has become a strategic force for competitive survival. Yet updating core legacy systems and retraining staff while building highly competitive new digital products and services is a tough balancing act that many IT leaders are still struggling with. What is it really like to migrate legacy systems to the cloud? How can we best understand the strategic function of IT and prove its value to the business? 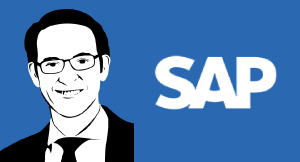 Join veteran IT expert and serial CIO Mark Settle on CXOTALK to discuss his experiences in using IT transformation to drive innovation and disruption. Mark Settle is a seven time award-winning CIO with broad business experience in information services, enterprise software, consumer products, high tech distribution, financial services, and oil & gas. He has led IT organizations that supported the global operations of Fortune 500 companies; maintained the R&D infrastructure required for software product development; and hosted customer-facing delivery systems for commercial products and services. Settle sits on the advisory boards of several Silicon Valley venture capital firms and pioneered the adoption of service management and cloud computing technologies within several large enterprises. He is the author of Truth from the Trenches: A Practical Guide to the Art of IT Management, which was released in the fall of 2016. 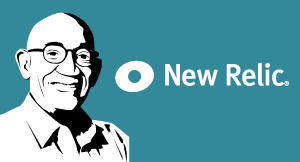 He received his Bachelor’s and Master’s degrees from MIT and a Ph.D. from Brown University. Settle is a former Air Force officer and NASA Program Scientist. Dion Hinchcliffe: Hello, and welcome to CxOTalk, Episode #248. It’s Tuesday, August 1st, 2017, and my name is Dion Hinchcliffe. And, I have a very distinguished CIO guest with us, today. Mark Settle, CIO of Okta. Welcome, Mark! Dion Hinchcliffe: Thanks for joining us! So, we are very interested in hearing about your CIO background. You're a seven-time CIO. This is your seventh stint, I believe, at Okta. 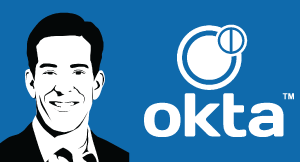 But, Okta's a company that I think many have heard of but don’t know what they actually do. So maybe give us a little explanation of what Okta does and then, give us a […] brief update on your current role and your CIO background. Mark Settle: So, what Okta does; excuse me […] phone call…Should turn my phone off. Mark Settle: So, Okta offers cloud-based solutions for identity management. You know, when I first started in the field of IT, the biggest problems I had in identity management was having a head of sales come on my doorstep after he had just started to […] reps and tell me he was taking IT two weeks to provision them, get them gainfully to work. More recently, companies have been having a lot of issues around secure access to their business systems, and specifically de-provisioning employees and contractors, and sometimes, […] systems, either covertly or overtly. So, […] has become a big thing. Okta was the first vendor to actually bring identity management to the cloud and offer a cloud-based solution. And, we can manage identities either within a company, so we can assist with customer programs like loyalty programs, or with suppliers that come in and of a company every day to do different kinds of work. Dion Hinchcliffe: Yeah, […] And so, your job as CIO… Typically, most organizations bring a CIO in for a particular mandate or imperative, something that does an inflection point in the organization. Can you share with us a little bit of your background about how you got on board with Okta and what your big mission was for Okta? Mark Settle: So actually, I was an Okta customer, right? I […] Okta four years ago in a software company with about ten thousand employees, so I had firsthand knowledge of the product and I had never worked for a startup company before. We've gone public since my arrival about a year ago. That was an interesting experience. So, you know, both of those were factors that drew me to Okta. I knew the management team fairly well, and I really thought they had carved out a fairly unique space of identity management becoming a mission-critical capability, not just some kind of a hygiene function. You know, it's very appealing to me from a kind of an innovation and transformational point of view. So, Okta was conceived as a gateway to empowering the use of the cloud. So, we try to live up to that philosophy or credo by actually basing all of our internal operations solely on SaaS tools, Software-as-a-Service capabilities. So, I operate no datacenter whatsoever. We operate the company out of about 150 SaaS applications. Dion Hinchcliffe: And so, you are living the cloud dream. You are, essentially, 100% public cloud. Is that right? Mark Settle: [Laughter] As in so many other things in life, you know, sometimes be careful what you wish for, because, you know, there’s certainly… There are pros and cons to any mix of on-prem and on-prem capabilities. One of the ones that you run into in the cloud-based world like this, a […] insists on integrations of various tools that have been brought in. So, large ERP packages like Oracle or SAP would have a lot of those kinds of integrations inherent in the package that they’re selling. When you start to select best-of-breed SaaS applications and […] them together, the IT organization […] integration responsibilities that maybe don’t exist in more of a classic, ERP-dominated world. Dion Hinchcliffe: Yeah. Well, I mean it's a real challenge, isn't it? At least, by eating your own dog food or drinking your own Kool Aid, or whatever phrase you want to use, you're learning a lot about what your customers are going to face. And so, I had to believe that […] with product development as well. You're not just running the business in terms of technology, you're also helping and making sure that you're putting out the product as you guys grow the company. Mark Settle: Absolutely right, absolutely right. Dion Hinchcliffe: So, seven times […] this year […] which one are you, right now? Mark Settle: This is number seven. I actually did the math this morning to get ready for my conversation with you. So, I look back to me first title, which was in 1997. So, I’m seven over a twenty-year period, so I think… You know, I’ve read about the industry average. I don’t know how that’s fluctuating these days, but I’m a little under three years per stint. Dion Hinchcliffe: Yeah, I think it’s right around three […] is the average right now, I think. That’s the thing. But, that really makes you a glutton for punishment. The CIO is a thankless job, right? […] When things go wrong, it’s your fault. When everything goes right, you never hear from anybody, right? And so, what attracts you to the role of being a most senior person in charge of information technology in an organization? You’ve got to imagine there’s something you really enjoy about it. Mark Settle: You know, I think it's going to be trite, because I think you'll […] the same answer from a lot of people, whether they're CIOs or work in other parts of IT organization. I think people that really like change, you know? Because the technology will always change. You can look back on a career, even as short as five years in IT and the rush of new capabilities that are internal or perpetual really is […] point of view sometimes leads to enhancements of a current business model or extension of a current business model. So, I think some of the personal satisfaction I get is trying to play the jigsaw puzzle of turning […] emerging technologies may actually be able to improve our internal productivity or […] opportunities. So, it's the change for our […]. And, I think the other kind of […] but again, it’s true, is in the CIO world, you really get to watch the things best operate on an end-to-end basis, as opposed to working marketing, finance, supply chain, or manufacturing. You’re really trying to optimize productivity and efficiency across that entire chain of value. And, inevitably, the people running the functional groups don’t have the same perspective and tend to focus somewhat myopically but, you know, justifiably on ways that they can improve their own internal activities for their segment of the value chain. So, I think there are CIOs that can build […] in business terms [and] can be a huge resource to CEOs and CFOs in terms of picking through […] strategies, you know. But another example being […] after ERP implementation in a specific company, you know, the CFO and I had a hear-to-hear and although his finance team benefitted from a new ERP system, we were able to come to a mutual agreement that we had done […] processes for some period of time and we needed kind of a shakedown for a year or two to really get the full benefit of those investments. I really needed to pivot pretty sharply and start looking front-office at what we were doing on our sales force and […]. So, you know, I really think that end-to-end value chain perspective is educational and it's intellectually stimulating and I think you can come away from that and have a real impact on the company. Dion Hinchcliffe: Yeah, because you can see the entire picture forming, right? You can see what the end and impact, as you said, is on that. So… Now, that’s… And, not everyone has that ability to have that system thinking view of everything. I think that it’s a challenge […] to fit all that in your head. And, you mention that a little bit in terms of, you know, focusing on the front-end and focusing on the back-end. Can you give us a sense of your main priorities as a CIO today? You know, in your write-up, you have a lot of different areas that you focused on the business in Okta. Can you give us kind of a sketch of what are you prioritized on and how do you do that? Mark Settle: Yup. So, again, it’s kind of funny. The things that I focus on, I think, again, you’d get a very common answer from many other CIOs. It’s almost scaling […] in a way, because of the technologies that are available to all of us. So one, obviously, is leveraging the cloud. Now, some companies, that really translates into your application portfolio and really driving more of a SaaS crusade to, you know, try to gain access to some of the business agility that comes from having SaaS tools. You know, another key dimension is collaboration. There's a proliferation of collaboration tools in most companies today. And, the challenge is are we really getting a business benefit for this? Or, are there going to be a bunch of different sandboxes. And in fact, you reach a point where you may actually undermine the productivity of the organization by having an explosion of collaboration tools. So, if […] everybody is going to probably entertain […] security matters […] are coming in and they have that secret sauce, the missing jigsaw puzzle piece, it's going to lead to the […]. And then, data analytics and data insights, you know, we're constantly looking at ways in which Okta customers are adopting new features and functions in our product set and feeding back to our product managers as well. So, you know, cloud leverage, security, collaboration tools, and data analytics; you know, I think the mix might change depending on a company’s current financial situation; some of its competitive challenges and maybe the industry that it’s in. I think you’d find, if you interviewed fifty CIOs, a lot of those same things would appear very common. Dion Hinchcliffe: Yup. […] thanks, Mark. And for those that are watching, we’re with Mark Settle, CIO of Okta. We’re taking your questions on Twitter with the hashtag #cxotalk. So, Mark, you just gave us a very wide-ranging view of your priorities and things you have to focus on. That’s a lot to take into account. And, […] I talk to a lot of CIOs. We have CxOTalk and we’ve been very fortunate to see a growing perspective on how the CIO role is changing. Some people are saying you should be more focused on digital business and P&L, and others are really focused on how do we improve the innovation function and move much more quickly? What’s your sense of how the core role of the CIO is changing, given all the things you just mentioned, that's a lot for one person to manage? Mark Settle: Exactly, exactly. So, I think that across the board, another common talk track around this is sometimes tension, sometimes partnership you can develop in the IT organization of a marketing team. When it comes to marketing folks, there’s a lot of innovation happening in that area in regard campaigns, and lead generation, and customer behavior, interests, etc. And so, there’s a lot of tools coming into that building. Supply chain; there’s been innovation in that area as well. So, just… I think you have to look overall and, again, in the earlier times, IT would have bought the software, put it on the servers, put the systems analyst out into the functional teams, check the requirements, customize the legacy application, etc. But, that’s really, like, you know, the old way of doing business. That’s kind of gone away, and now you’ve got functional teams that actually have a lot of capability around configuring these tools to support the processes that they want. But, that happens up to a point. Roads still lead back to IT around issues like data management and security, and integration with other tools. And so, just to be transparent, sometimes I kid, so I’ll have a member of my team that will come in and go, “Oh my God, I can’t believe so-and-so went out and bought such-and-such,” and they’re starting to do something that we didn’t need to know about. And, sometimes, I just grin and say, “Don’t worry. They’ll be back here pretty soon,” because they’re going to find out that they’re going to want to integrate some of that new tool, or they’re going to direct some data into that system that comes from some other part of the company. And so, sooner or later, roads will lead back to IT and… But, in a general sense, the core way of doing business really does change in more of a cloud-centered world and command and control and […] are trying to control things […]. Dion Hinchcliffe: But, I think you started to say that the legal field isn’t changing as fast as the digital world or the rest of the world. And so, in the exponential age, how can you have […] control with your one-year, two-year, or three-year budgetary plans and roadmaps when the business is changing so quickly? Firstly, I’m glad to hear you say that it’s becoming less hierarchical. But, what happens when… You implied that there’s a lot more to IT than most people realize, right? So, that’s why the road always leads back, because you have the expertise to do all the things under the […] that people have no idea has to be done, right? Dion Hinchcliffe: Do you enable… So, do you […] things out, you let them experiment, and let them come to you and let them try and figure it out? What’s your process of trying to bring them in from the cold? Mark Settle: Yup. So, I have kind of two perspectives on that, which I'm hopeful is going to be helpful to some of our listeners here today. So one, there's the first order of difference in my mind between a platform application like Workday, for HR, or Netsuite for finance, or Salesforce for sales, and for lack of a better term, bolt-on applications. So, maybe there’s an application, a tracking system that works in conjunction with a Workday. You know, maybe there’s a travel reimbursement system that would work in conjunction with Netsuite. And so, I think it’s easier to innovate around the edges, right? It’s easier to look for new opportunities in that bolt-on kind of ecosystem where there may be some incremental capabilities or just new approaches or whatever, without threatening the core platform in any way. The bigger changes which are harder to implement, harder to innovate around, are clearly your core platform tools. I think that’s actually one of the beauties of a SaaS universe. The plug-and-play capabilities of some of these tools is actually quite large and so if you were to discover the better applicant tracking system, the conversion would be relatively trivial. I mean, just […] something like that in a matter of weeks. So, that’s one. You know, that really relates to business risk. We’re trying to […] gamble with something, or try it for innovation where in an isolated way, where it’s not some kind of a huge business risk that we’re incurring. So, if we lost our applicant tracking system for two days, the world would not come to an end. Dion Hinchcliffe: But, “edge IT” versus “core IT,” right? Mark Settle: Exactly. There you go! I like that “edge IT” idea. And then, the other thing I caution people, because I’ve been burnt by this myself: I think if you’re looking at startup companies, which is a great, great way to think about innovating and kind of bringing some opportunities for competitive advantage to your own in-company system, you’re going to want to be careful about what stage of development they’re in. Dion Hinchcliffe: […] Yeah, it’s a major drag on what you’re doing. Mark Settle: Well, there's that and, I mean, I'd worry more about burning up my headcount; burning up my bandwidth helping these guys out rather than getting my work done. So, I've been kind of hypnotically drawn into some of those black holes through premature enthusiasm a couple of times. I've been burned and I've learned my lesson. But, let others have that experience of them! I'll be the early adopter of a Series B or […]. Dion Hinchcliffe: You know, I mean, it’s hard not to. That’s the problem with technologists like ourselves. You get drawn into the technology and you realize the possibility of being able to shape a product to meet your needs. But as we all know, that can be an issue. So, getting back to this discussion, you mentioned something very important early on. One thing that Okta can do is kind of see across all of its customers, as in that famous saying that “My data tends to be better with your data.” And so, when we talk about how IT can enable the business to disrupt a competition to market, how can IT help do that? I think one way you mentioned already is turning that kind of wide-ranging perspective on user behavior into data to make the product better, but are you seeing that as IT becoming a true competitive advantage now? Mark Settle: Yes. I think one of the challenges that we faced in the past; I mean, we always kind of focused on ourselves as how can we move faster? How can we find that new capability, test that new capability, buy that new capability and get it into production, etc.? And frankly, because IT people like to focus on technical problems along those lines, I mean, that’s where a lot of the effort goes… And what we really don’t do a good job of is looking at the changes to the people and the business processes that really have to occur to get any benefit out of some kind of a […] solution. And so, I kind of find this interesting, you know. As IT and professionals, we’ve beaten our chests for, oh my Lord, for years, about how we were able to time-box the delivery of new capabilities and Agile appearing on the horizon, and we adopted scrums, and we’re churning out all this kind of good stuff. But all too often, what you find is the users that you’re trying to serve will be the first to tell you, “I can’t absorb new capabilities, like every other week. I can’t even absorb it every month.” Maybe on a quarterly basis. If you can put all that good stuff together and then train me on it once every ninety days, then I can do something […]. I remember once I met a colleague at a […] insurance company, and they had embraced Agile and were very proud of what they were able to accomplish. And all the field agents, the insurance agents in the field, had these laptops. They were constantly delivering new capabilities. In fact, I think they had a bi-weekly release for every other week they were providing some updates and new capabilities. And it was almost a result from the field, and the agents said, “You know, I can’t take two hours every other Monday and just sit there and take the CBT training about what the new capabilities are. I just don’t have the time. I don’t have the interest.” It is something like that. The other problem you run into with a lot of these same ones is sometimes, it’s essential to put together multiple agile releases, you know, to impact a certain business process. You know, let’s say we were going to try to reduce the time required to source a loan or source an insurance policy, or whatever. And, you know, I don’t think anybody on the business side would have the stomach of let’s say, two weeks to do it today. I was thinking about twenty releases so that every release, we chop off one […] off of that process, right? They're going to say, "Well, make me do it twice. Let's get done in a ten-day origination period and maybe a five-day […] cautiously and see where we go from there." But, some of the ways we think about delivering capabilities to the business really just don’t square with the way that the business is ready to consume them. And, some of that is inevitable because certain processes all have to work together, but a lot of it is just through the conventional way IT has worked with its clients. And, you know, […] the clients on board with that. It’s not just, “We’ve got to learn how to do it on our side,” and I really don’t think we’ve been very successful at educating people on our customer side about how they could work with us in different ways to avail themselves of new capabilities quickly. Dion Hinchcliffe: Yeah, so you brought up a very interesting line of thought, which is, as technology changes then improves exponentially, the ability for the business to absorb that change and metabolize all the new releases, the new tools, the new technologies, new user interfaces is limited. It’s fundamentally limited. It seems like the human component is becoming the factor that controls how fast you’re able to move. And yet, when I talk to CIOs, I survey the top fifty CIOs, at least on my list, who I think in the world are the leaders; and 96% of them came back and said they were under either “strong” or “very strong” pressure to move more quickly and we all know what happens when they don’t. So, what you’re […] the core challenge is not so much the technology, which is the fundamental human limitations of the business side would be able to absorb them. What are we going to do about that? How do we start dealing with that? Mark Settle: They’re saying, you know, what is the minimum useful increment of capability we can kind of push across the fence, and, you know… The receptivity of the other side, you know, got to do something about that. You know, maybe it’s… I don’t think there’s a generic answer. Dion Hinchcliffe: Well, I’ve heard some of the CIOs say, “simplify, simplify, simplify.” So, civilization advances when something complicated is made simpler. That may be an answer, and I’ve certainly heard a lot of people suggesting that things like robotic process automation, artificial intelligence, and machine learning are going to take care of some of that issue by just doing the work directly, right? So, these are some of the questions that we’re all grappling with, is how are we going to accelerate the business and how can we help the business do that? Because, I don’t think that they have the ability to, without our help, without IT’s help, be able to do that. Mark Settle: Yup. I was able to pick up on that. And you know, I think that this part of our conversation really focuses more on enhancements and kind of incremental improvements along the way. I know […] people that are […] today are thinking about ways of trying to have a more strategic impact on the business. Say you step back and you look at that value chain, you can see some real opportunities, maybe under-lap or overlap connections between some of these different functions, or some new tool or new process could really have a big impact. And, I've been personally involved in many kinds of […] coding quests to bring forth a major strategic program that's going to lead to new revenues or improve profits and going to move the needle. Many of those are fraught with all kinds of peril, both for […] a technical point of view. You know, the table stakes or any of those kinds of conversations really come down to credibility and trust. And I think people who really want to move the needle with the business… You know, first thing you've got to do is do your own […] and tackling; you know, the basic parts of running an IT function. If you have to provision new employees on day one, you can't get stuff resolved at the service desk, the WiFi breaks down, the AV equipment breaks down, the AV equipment only works half the time… You know, even though you, as the CIO, might say, "Well, that's just going to be a […]. We'll make it better to order year-to-year." Those kinds of constant frustrations that people experience really undermine the credibility of the organization so it's hard for people to see that they should throw $10 million in your path and […] save the world for them. Mark Settle: Well, you’ve really got to get in their shoes. And that’s when they think, “He gets it; she gets it.” They can see what […] up against here. Now I believe, now when he brings for this crazy terminology about bots crawling in some data lake to populate a telepathic marketing campaign; you know, now I get it. I can see how that’s going to work. Otherwise, you could […] for the first time that you come from Pluto. They don’t even know what you’re talking about. Dion Hinchcliffe: Yeah, exactly. Now, great insights, Mark. So, we’re well over halfway through the show. I’d like to thank our sponsor Livestream that does all the technical pieces in the background to bring you CxOTalk, and please ask your questions on Twitter using the hashtag #cxotalk. So, Mark, you brought up a bunch of challenging issues. How do we… You were talking about building required documents out of isolation with the users and Agile was supposed to solve that by putting everyone in the same room so that one thing changed; the developer, the tester, the business user, the person deploying it, the helpdesk, everyone knows what's going on and the whole […] of dev-ops […] play with that has come up […]. Do we have the right tools to really meet our challenges of IT today? I mean, I think there's a lot of discussion about what's the next CIO going to look like? Is it going to be much more decentralized? Are we going to empower the users to hire their own service providers and then give them the garden rails? What are we going with all this discussion to solve these challenge around moving faster, getting the right systems going at the right time? We're still talking, about thirty years later. Mark Settle: So, I don't know if this is going to be very optimistic or uplifting response, but I kind of agree with you. I actually think that the normal IT organization is actually, in many cases, transforming into becoming the shadow IT of the company. Because if you think about the conversation we've had so far… So, if the functional groups can go off and buy their SaaS tools, and all IT does is worry about data management and integration and security, which is not obvious; that's the underside of the iceberg, it's not obvious to a lot of people, and BYOD has effectively adopted, whether in practice or in principle… So, if you put a company business on smartphones and […] on their own instead of going to the service desk, you know, people are talking to their peers across the cube on "how do you do this," or "how do you do that,” where they are using a bot to go crawl in a knowledge base to get advice on how to get solar […] on their laptop. And then, you get back to the perennial question: what are all those people doing with all that money? How do they spend that money every year? It’s like a […] today. Mark Settle: So, it's really that, you know, this ability that IT has in a lot of organizations kind of wanes. When you look at the hype […] all the excitement of the HR director that brought in the new applicant tracking tool or the new hire from across the street that uses the Microsoft service device; it goes on. So, you know, I think we do kind of operate a bit in peril here. And the areas we need to double down on are things we read about all the time; data analytics, security concerns, and ways of driving collaboration. You know, the workplace has become so much more virtual. You know, we were able to have more control in the central office and park [our] cars in suburban parking lots, and trooped in and had fixed desktops and no smartphones. It was a lot easier to have control. Mark Settle: And these days, that’s not the way the world works. It’s a twenty-four-by-seven experience. I assure you the employees in this company probably all have three to six different devices that they use to access different business applications, and they are a twenty-four-by-seven organization where people do a different kind of business at any time of day. So, that’s a whole different workplace to try to manage and, you know, make as productive as possible. That’s a big challenge. So, the opportunities are certainly there. You have the credibility and trust committed to something, you offer some solutions, I think. And, I’m circling back here and repeating myself a bit and coming up with a compact with different functional teams about how can we jointly do business together to give you access to things more quickly and delivering a functionality more quickly than it’s ever been? Mark Settle: So, I always think it’s dangerous when I’m a CIO or any type of IT exec tries to convince businesspeople that the IT organization has delivered business value. Dion Hinchcliffe: [Laughter] And it’s hard to do! Dion Hinchcliffe: Yeah, […] are hit-and-miss as a result of that. Exactly. Mark Settle: So, you know, to try to… And then, even if there have been very positive results, to try to attribute what part of that had to do with the technology, we reorganized, right? We moved twenty people out, hired three people with new skills, distributed the function across three continents and whatever, and now it’s like cheaper, faster, and better. That’s great. So what part of that can you […] on the IT business case? So, I will share a personal experience with you. When I was in a former company, we had made a transition from Siebel as our CRM system, the on-prem version of Siebel, and we moved to the cloud and Salesforce.com. Now, we have two divisions in this company. And the president of one of the divisions said very publicly, repeatedly, said that was the best IT project that I’ve seen in the last three years. Mark Settle: So, the business value associated with having the president being willing to say that so certainly and in multiple forums surpassed any kind of documentation I could have produced […] that we could actually generate some value. Dion Hinchcliffe: So in that sense, that’s the best measure. Does the business feel it in its bones, right? As opposed to a spreadsheet that they’ll never understand anyway. That’s a really interesting challenge. So, I wanted to make sure we had time to talk about your book. So, […] the next question after this one. I have one from Joanna Young. She’s a well-known CIO, a CIO maven if you will, and her… She’s […] all about the topic of IT talent, which is bringing people on board in IT but then having them spend time in the business before they get their full responsibilities on their shoulders so they can solve some of the problems you talked about in terms of really getting to understand the business and building the relationships that allow the effect of IT to be developed. But, the real challenge that I see increasingly is that a lot of the best and the brightest don’t want to work for traditional IT. They want to work for product companies and they want to work for the best. How do you compete with the Amazons, Googles, and Facebooks for the talent that will allow you guys to be a leading product organization, which you're already in the leading cohort? How do you stay there? As you grow, how do you get the right people? Mark Settle: That's a challenge, obviously. It's interesting. I've done a fair amount of college recruiting in the past, and we go to the job fairs and students come up and of course, they're getting degrees, usually in some kind of an engineering or scientific field. They seem to all have an intuitive understanding of software development; so, the idea of requirements of coding and testing and all that. So, that kind of a work style or perfection, somehow intuitively makes sense, probably because students today have to do programming, so they vetted themselves already, and at least intuitively, that's some kind of a mental model. On the flip side of the coin, when you describe some of the things that we do in IT, they've never heard these things before: evaluating multiple vendors, tuning our extra transform and load tools for update to the data warehouse, looking at the security operations center and try to reduce false positives… I mean, you know, this is stuff they don't get exposed to […], you know, […] in the courses that they take. And so, I think, how do you attract people to that? Almost inadvertently, if you can get them to take a chance. Once they see the world of IT, again, the amount of change that goes on, the ability to work […] functions that we talked about before. You know, I've seen a lot of people get really energized with those kinds of challenges. Even on the infrastructure side, large, disaggregated corporation matching the network, remanding security operations, or [burning] their own private cloud internal to the datacenter of a company. You know, people have different […] and interests and I think you can easily tap that enthusiasm. But, you’ve got to get over the initial barrier of ignorance to, you know, how to expose them to stuff that we really do. And, I don’t know if there’s a good formula for that […]. Dion Hinchcliffe: Well, that’s something you have to teach all the rest that they didn’t get in their college education because IT is evolving and becoming a very sophisticated field these days, so that’s a challenge. So my last question has to do with what do we tell CIOs who are now getting into this very complicated, very fast-moving space? The role is shifting. You have had some… You’ve really codified your thoughts on that really simply with your new book, “Truth from the Trenches.” Maybe, you can give us a little bit of background on the book? What advice would you give someone getting into your role like you did back in 1977? Dion Hinchcliffe: In ’97; in ’97. Mark Settle: So, you know, the book is called "Truth in the Trenches: A Practical Guide to the Art of IT Management." It's maybe one part science, and two parts art. You certainly don't go to school to learn how to be an IT exec. You learn through experience. That's, for better or worse, that's the path everybody takes to these kinds of jobs. And what I fortunately found is that I had multiple opportunities to network with other CIOs and share war stories. I've worked for a couple enterprise software companies where I got to interact with CIOs of our client companies and even more broadly understand what some of their issues are and problems that they've been trying to solve. And, I don't think it comes as a surprise to most of our listeners that on a bad day, IT kind of looks like the movie Groundhog Day, with everybody making all the same mistakes that we all know about just kind of repetitively, over and over again. Mark Settle: "I thought we did it on the weekend!" But he said, "Oh yeah! We do that on the weekend, but so-and-so's son has a Bar Mitzvah this weekend so he thought he would get it done on Thursday so he wouldn't be bothered to have to do this over the weekend." So, you know when you have those […] all the time. So, it's the Groundhog Day syndrome that will come back and bite you more often than not. So, part of this is personal therapy. I gave full vent to all my frustrations, and pent-up lessons learned in the book and it was […] a pleasure to write. But, several takeaways. I guess I'll leave the listeners today with three. One is to follow the money. IT organizations inevitably spend a fair amount of money and I think, in terms of your credibility with your peers at any level of the company if you're in a leadership position in IT, you've got to be on top of your hours. You've got to understand where the money's going, how you've got […] against other firms, through networking with some of your friends are doing, in terms of the efficiency of their service desk or with collaboration tools, etc. You've got to negotiate better contracts. You just have to be a, you know, good steward of the company's financial resources. So that's number one. Two, I would recommend for anybody coming up through the ranks in IT management. […] start selling it, […] or whatever. But there should be a sign that says, “People, process, and technology,” but in progressively smaller font. So, “people” is the biggest font. Dion Hinchcliffe: I’m seeing that sign, but never with the right emphasis on proportion. So no, that’s a fantastic […]. Mark Settle: Yup. And then, the last one, I would say, is really focusing on the Art of the Possible. There are so many good ideas floating around. The issues around IT credibility, business criticality, availability of funds, executive sponsorship, the right skill set in the organization… You know, when you think about the CIO having an impact, it's almost like an alignment of the planets. For all of those factors to suddenly appear for some brief moment in time where you can actually pursue some kind of a relatively major innovation […], and really good CIOs kind of develop a sixth sense for when that alignment occurs, and they develop the political capital so they can kind of strike when the iron is hot, get the funding, […] own troops, get the sponsorship that they need, and really do some amazing things. But, that doesn’t happen every other week. You’ve got to keep your nose to the ground like a good detective and watch for those opportunities when they do show up. Dion Hinchcliffe: Right. And that combination of skills you just mentioned is actually a fairly rare combination. That’s why there really aren’t that many people who can fill that role. It’s a complicated one that requires you to be able to collate all of this human and technical complexity and synthesize that into your decisions and leadership. And I think that’s a real challenge. Mark Settle: […] sort of start the conversation. That’s what makes it fun every day. Dion Hinchcliffe: Exactly! And it’s [not easy] to do, and when you do it well, it feels great. Well Mark, thank you so much for joining us today! This was CxOTalk, Episode #248 I believe. We had Mark Settle, the CIO of Okta. Thanks very much for watching, everyone! Security is one of the top priorities for every organization. On this episode, we speak with Todd McKinnon, the CEO and co-founder of Okta, an enterprise grade identity management service. Today’s cities are more technology driven than ever, yet their digital transformation is only just beginning. 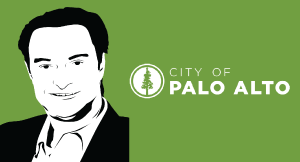 In this episode, Jonathan Reichental, noted city CIO, technologist, and smart city expert, brings his latest ideas and insight into the digital transformation of our civic spaces and lives. The Chief Information Officer role is changing dramatically, driven by shifts in expectations from external customers, internal clients, and business leadership. For the CIO, this means rethinking relationships with all these groups. In this episode, we talk with a Millennial CIO to learn from his perspective on the evolving role of IT. Historically, financial services has lagged other industries in moving to the cloud based on concerns about security and data protection. As cloud gains greater acceptance, financial services organizations are adopting cloud computing in greater numbers. On this episode, we talk with one CIO who has adopted a cloud first approach to computing. 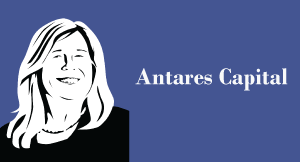 Mary Cecola, the Chief Information Officer of Antares Capital, explains her approach to cloud and offers advice for making a smooth transition. Digital transformation involves all parts of a company, from sales and marketing to operations, supply chain, and talent. On this episode, a seasoned leader and author shares practical advice for undertaking a program of digital transformation. 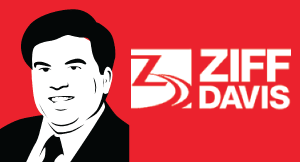 Our guest is Anurag Harsh, Senior Vice President and Founding Executive at Ziff Davis. Given the scarcity of digital business talent, companies must find different ways to attractive top employees and lower turnover. Business expectations of the Chief Information Officer role have changed dramatically, forcing CIOs to adapt and evolve. This episode explores what's happening with CIOs and offers practical advice to both the business side and to CIOs themselves. 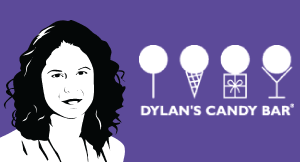 In this episode, we explore the business goals and enabling technology that Dylan's Candy Bar uses to create an omni-channel retail experience. 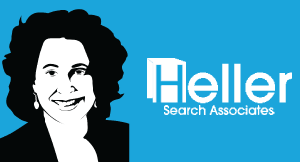 Our guest, Erica Stevens, is Vice President of Supply Chain and Information Technology at Dylan's Candy Bar.